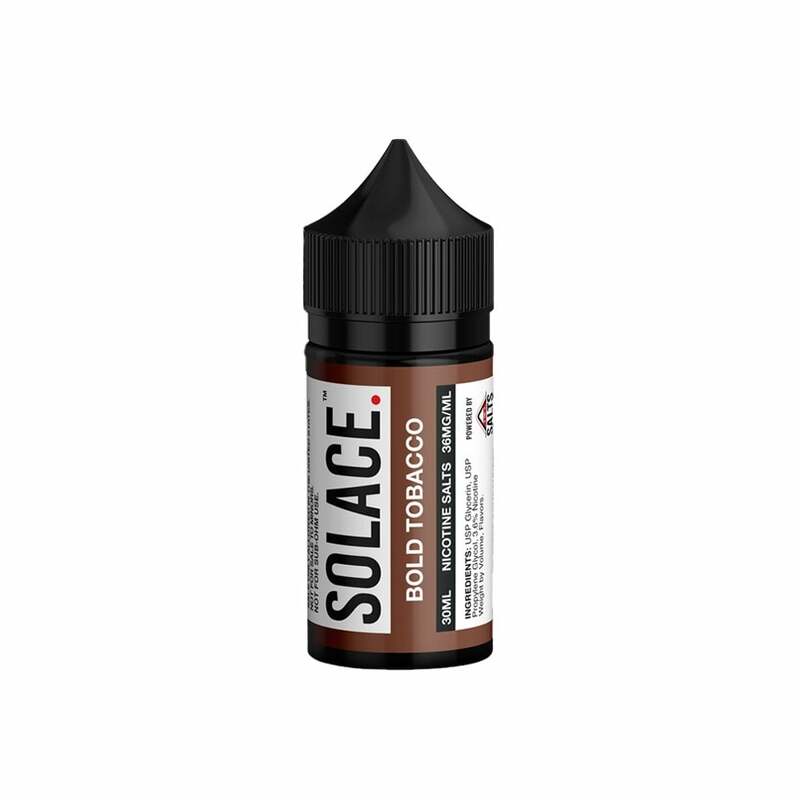 Tobacco connoisseurs, this one's for you: Bold Tobacco by Solace Vapor is a rich Virginia cut tobacco vape juice that's packed full of authentic, full-bodied flavor. Bold Tobacco's nic salt base adds an extra dimension to your vape, giving you a powerful throat hit without the harshness that can accompany high nicotine strengths. Not anything like the Juul pod flavor. This one felt like I was inhaling straight up perfume. Way too nasty to continue using. Gives me a huge headache. I wish the flavor was more potent and itd be way better. wayyyyyyyyyyyyyyy to sweet for my taste will try others to find one i like. Jefe vape juice had a wierd taste. Unfortunately I bought two bottles. I will save them to use in case I run out of juice. The jucie has a kind of Carmel flavor. I did not care for it. Best salt nic Replacement for your JUUL Virginia tobacco, I use it to refill my JUUL. Solace's el Jefe, by far, my favorite nic salt for an all-day vape. Nice and smooth with an amazing finish.